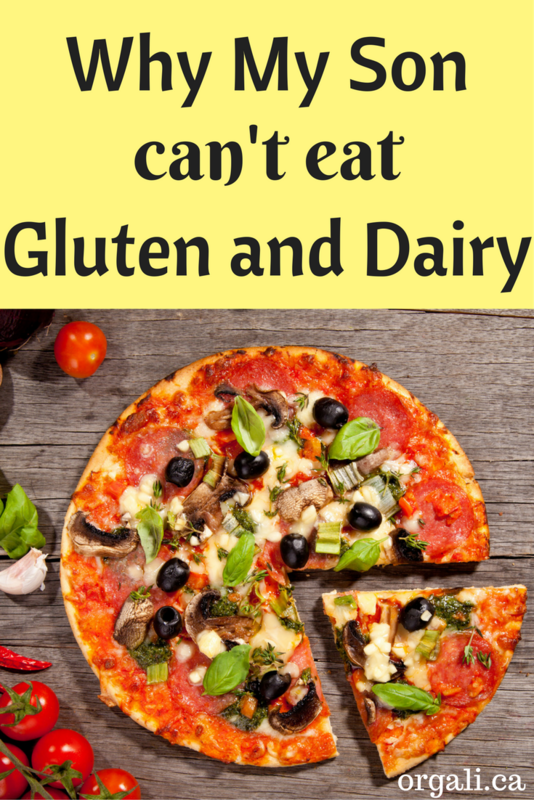 My son was three years and a half when he was diagnosed with gluten and dairy sensitivity. Since then, he can’t eat gluten and dairy foods. I am not going to speculate on why we think this happened because we can’t change the past or know for sure anyway. I will focus instead on telling you the symptoms that made me think that he might have gluten and dairy sensitivity. Next week I will show you the result of his blood test and tell you what I did to help him feel better and to get rid of his symptoms. 1. OK, let’s start with the first one. His behaviour. Since my son was born he seemed to be a bit on the stubborn side, which I thought was normal as some kids are like this and he could also take after me. However, the second he would see the car seat he would throw a terrible fit and would not let me put him in the car seat. When I finally got him in the seat, I was a stressed and sweaty mess. I thought that this also might be normal as some kids absolutely hate their car seats. However, the crying would go on and on and he would only settle after at least 15 minutes of screaming. For many, many months I dreaded the moment of putting him in the car seat. Another type of behaviour that did not seem ok was his tantrums. They lasted for a long time and were out of proportion. I knew that kids throw tantrums, but I did not see any kid that would throw a tantrum like my son. 2. His eyes started getting dark circles. They had purple circles around them to be more exact. And his eyes also seemed hazy like he was always tired although he seemed to be sleeping enough. And even now, when he is 5 years old, he still naps. So he definitely was (and is) getting enough sleep. But he always looked tired. Eye shiners show up in kids with allergies. Usually eye shiners are linked to nasal allergies, to having a cold, or a sinus infection. My son had the allergic eye shiners, but no other nasal symptoms such as a runny or stuffy nose. 3. He also started developing red, rough, and itchy patches on his thighs, especially on the back of his legs. I initially thought his skin needed some hydration, as we live in a dry climate. No amount of moisturizer helped. I tried many skin creams (including olive oil and coconut oil), but nothing helped. At some point the rash got so bad that his whole thighs were inflamed and red and one night, he was crying when he went to bed because his thighs were hurting and he could not touch his legs. 4. Before he was diagnosed, my son had many colds and each of them ended up with him wheezing and having difficulty breathing. We even went to the emergency department as after a few days of having cold symptoms, he developed severe respiratory distress. We were given a puffer that I used many times since then right at the beginning of a cold as I learned (by trial and error) that waiting until his breathing got really bad always ended up with us going to emergency and getting stronger medication for his breathing. We even once stayed overnight in the hospital as his breathing was not getting better. He was never diagnosed with asthma as he was less than 2 years old at the time and they don’t diagnose with asthma kids that young, but all the doctors we talked to seemed to believe he will be diagnosed with asthma later on in life and they gave him a Ventolin puffer. 5. My husband has a history of eczema. I have a history of allergic rhinitis. However, in my case, I noticed that my runny nose (from allergic rhinitis) and joint pain come when I eat gluten and disappear when I avoid it. It has been shown that kids with parents who have an allergic terrain are more likely to develop allergies or sensitivities themselves. All these symptoms that my son was experiencing told me that there was some inflammation happening inside his body. This inflammation was reflected on the outside as behavioural problems, eye shiners, skin rash, and frequent colds with asthma attacks. Luckily enough, when my son was 3 years old I decided to study nutrition and during my courses I deepened my knowledge on allergies and sensitivities. Six months into my studies I decided that my son needed to see a naturopathic doctor to have a blood test done which would tell me if he was sensitive to gluten, dairy, and/or others. Seeing the naturopathic doctor and having the blood test is expensive, but we decided to do it as my son’s symptoms were quite severe at that point and we could not wait anymore as he obviously needed immediate help. Food sensitivities (to gluten and dairy and other foods) can manifest in many ways. They can show up as skin rashes, as hard to control behaviour (even ADD or ADHD), as headaches, tummy aches, mucus and blood in stools, frequent ear infections, and many others. As I already mentioned, next week I will show you the results of his blood test and tell you what I did to help him feel better and to get rid of his symptoms. Here are his blood tests results. I shared here an update on how he is doing on the gluten and dairy-free diet. Does your child have a dietary intolerance? Or do you suspect that your child might have a dietary intolerance? What are their symptoms? And what foods do they react to?